All very smart question to ask there friend! In order to ensure our site is helping our visitors find the information, products and services they need most, it's extremely helpful to see what our visitors do while on our sites. You know those ghost hunters on TV, they watch old haunted houses through heat sensor goggles. Heat maps allow us to pretend to be ghost hunters, and see our website through heat sensor goggles. Here's what my home page looks like normally, and through 'heat sensor goggles' a.k.a. a heat map. In this post I'm going to give you both a quick guide to getting your site set up with a heat map, and then also show you what to do with all that heat map info you've collected, to better your sites experience. Enter your site URL, email and make a password. Copy the Sumo embed code. Go to your Squarespace site, click Settings > Advanced > Code Injection. Paste your code into the field named 'Header' and click save. Click the little blue rectangle which will appear on the top right hand side of your site. Head to the pages on your site you want to put a heat map. (Which pages should you put a heat map on? I have heat maps on all my most important pages, my home page, about, services, portfolio, and blog list page. When your little Sumo bar is open, click the heat map option, it'll ask you if you want to start recording a heat map on that page, click yes. Then, you've got to wait a little while for it to record info. The heat maps on the free sumo plan records up to 1,000 clicks. How long will it take to record 1,000 clicks? That depends on how much traffic to your site you're getting. I generally wait a couple days, then click on the little blue rectangle to the top right of the site, click the heat map button, and then browse through the info when its recorded a few hundred or thousand clicks. Here's 6 questions to ask yourself, and action steps to take based on your answers! Question 1: Are visitors clicking on my Calls To Action? If your Calls To Action are getting lots of clicks, great, leave them the way they are. Question 2: Are visitors using my search bar? If this is a yes, people are using it now and again, then great, leave it be! If this is a yes, people are using it ALL THE TIME, then this might be an indication that people are struggling to find the content they want through your navigation menu. Consider making your navigation menu titles more clear, and also be sure to check in on what people are searching in your search bar by going in your Squarespace site to Analytics > Site Search Queries. Check out what the common searches are for, and be sure to put links to that content more front and center on your site. If people are constantly searching for your phone number, email, location, or hours that's an indication you should have that stuff on every site page, so be sure to put those bits in your footer. Don't have the content your visitors are searching for? If you blog, and people are searching for stuff that you haven't yet spoken about on your blog, then add those terms to your blog post idea list. I noticed people were frequently searching for 'icons' in my search bar. I figured this meant that people liked the icons I used on my site and wanted to know how I created them, so I wrote a blog post on exactly that, which is doing very well traffic-wise at the moment, because I gave my readers exactly what they were 'asking' for. If this is a no, people are almost never clicking on your search bar, then this could mean that either their finding what they need easily on your site (good job) or, they can't find the search bar itself, meaning you maybe need to put it in a more prominent location. Question 3: Are visitors clicking on my most important menu items? If this is a yes, great, leave it be. If this is a no, then consider changing the wording or minimizing the navigation options. One of the main things I want visitors to do on my site is to hire me to help them with their Squarespace site. I had named that page 'services' before, but it wasn't getting as much attention as I wanted. I changed that navigation menu item to say 'Work With Me' and the clicks shot up! The other option when something isn't getting much attention is to clear out all the other less important stuff around it. Question 4: Are the things in my prime real estate area getting clicked? What's prime real estate? The top area of your home page. If that's a yes, leave it be. If that's a no, and you've tried text change, color changes and clearing out the stuff around it, then it's possible that visitors just aren't interested in that bit of content. So swap it out for something else! Question 5: Are visitors clicking on non-clickable things? On my home page I had some website portfolio pieces that were getting lots of clicks, but they weren't linked anywhere! Clearly, my visitors thought that by clicking the image, they'd be taken to more info on that specific site design, or my portfolio. But it wasn't. So I gave them what they wanted by making those images into links. If that's a yes, be sure to add links to the relevant info. Question 6: Are visitors clicking on something in the footer a lot? Because, of course you've already read my 6 website navigation best practice do's & don'ts 😉, you know that not every page on your website should be linked to in your top navigation. The lesser important pages should be linked to in the footer, and you keep just a select few super important links in your top navigation. However, what if one of those footer links is getting a ton of clicks? Move it up to the top navigation, it's earned its place there. I previously had my portfolio in my footer, but have since moved it up to my top navigation as it was getting a hefty percent of clicks, even while in my footer. Once you've made changes to your pages, stop the heat map recording, and start a new recording, so you can begin tracking clicks again fresh, without bringing old stats over to the new test. Then a couple days later, go back to look at the heat map, note the differences in your visitors behavior, and continue tweaking from there! Are you now a crazed heat map fan? Perfect! 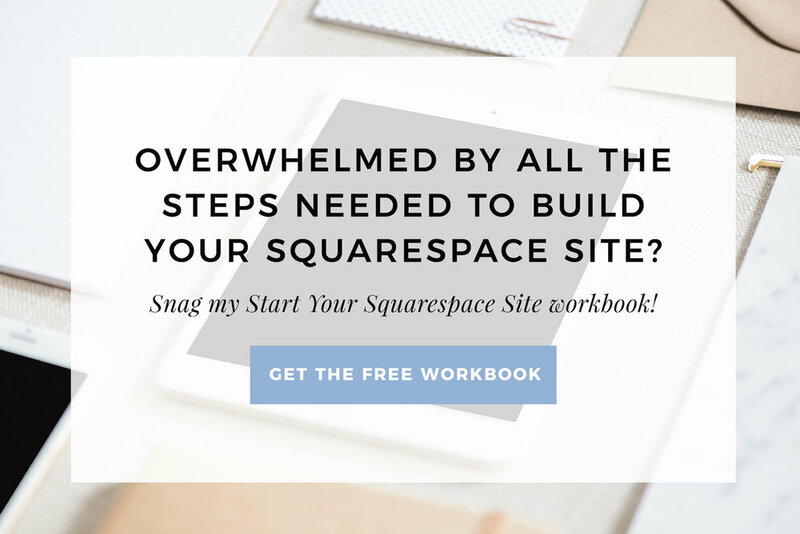 Share this post with some fellow website owner friends to help them up their site game too!